Proudly serving the 25th Ward for 20+ years. I’m honored and proud to represent the 25th Ward since 1996. I’ve always said our ward is a microcosm of our city’s diversity and uniqueness. 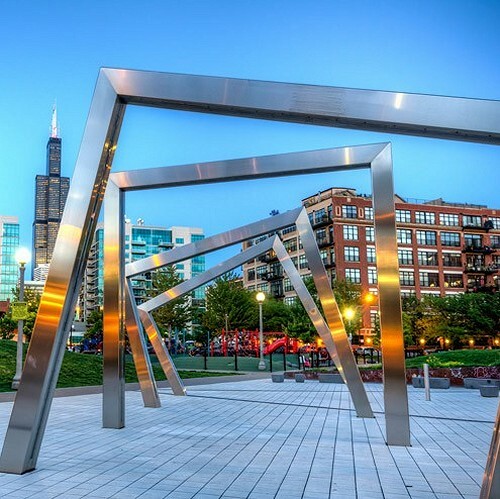 Each of our neighborhoods, Pilsen, Chinatown, Little Italy, ABLA Homes, West Loop & South Loop, are full of so much culture, art, cuisine and character—it’s no surprise we’ve seen sizable growth, progress, and global recognition. Earlier this year Forbes Magazine named Pilsen the Top 12 Coolest Neighborhoods in the World. This summer Time Out, a global travel and entertainment media group, named the West Loop the 18th Coolest Neighborhood Around the World. Chicago’s Chinatown is the only Chinatown in the country that continues to experience growth, and USA Today named Chicago’s Chinatown the 3rd Best Chinatown across the USA. Today, schools across our ward have higher graduation rates, reading and writing scores, as well as new IB, STEM and Language specialty programs, which attract some of the best students and faculty in the Chicagoland area. Since my tenure began over twenty years ago, half of our Pilsen schools were overcrowded, and several in probationary ranking. Currently, the majority of our schools have progressed to Level 1 status, and we built new schools to address overcrowding. Small businesses are the backbone of our economy. Our office has built strong partnerships with neighborhood Chamber of Commerce organizations to provide technical and financial resource assistance to over 1800 small business owners across the ward. In addition, we established a TIF system that keeps money from the community in the community, and has helped pay for $1.3 million in job training and creation. We spearheaded the first Green Street in Chicago, turned a former flood hazard into an environmentally-friendly drain system that simultaneously reduces smog, and improved infrastructure and institutions across all our neighborhoods. We’ve made improvements and green space expansion to nearly every park district in our ward, including entirely new constructions: Ping Tom Park in Chinatown; and Fosco Park in the ABLA Homes. Additionally, this summer we broke ground on a new, state-of-the-art indoor track & basketball facility in Addam Medill Park, near Little Italy & ABLA neighborhoods. Gentrification is spreading across all major cities, so my office has worked tirelessly with the city to create aggressive affordable housing that includes student housing, rental properties, single-family homes and senior housing. This year I was happy to introduce the New Preservation Strategy pilot with Alderman Rick Munoz, Alderman George Cardenas and Mayor Emanuel. It’s a comprehensive, community-based strategy to preserve the culture, character and affordability of our working-class communities. This city initiative will enhance affordability requirements; offer displacement resources for existing residents; and increase sustainable, head-of-household jobs. In 2008, we pushed for a project that allowed 95% of homes and businesses in Pilsen to be granted Historical Status, freezing owners taxes and protecting the culture-rich architecture. Additionally, our ward is the only community in the city to enforce a 21% affordable housing mandate on any large-scale developments on the Southwest side. When you bring in more small business foot traffic; make significant improvements to the schools and parks; increase after-school programing, repair our neighborhood’s infrastructure, and increase job creation as we have done for the past two decades, an inevitable byproduct is crime reduction. 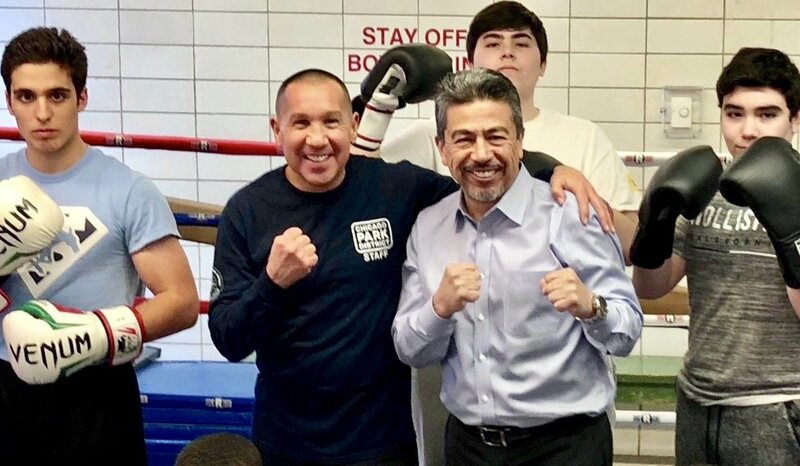 This is what we’ve witnessed across our ward, and most noticeably with our ABLA Homes and Pilsen communities that were once plagued with prevalent gang activity and violence. My goal has always been to build up neighborhoods, and with your continued support, I believe we’ve accomplished this. University Village, Pilsen, West Loop, a current direct passage project from Chinatown to the Loop, and the development of a vacant 62-acre, South Loop project— these areas did not exist as they do today. Over the course of my tenure, I’m proud to have helped turn vacant, neglected and/or crime-infested areas, into vibrant and thriving residential communities. I’m humbled to serve as your 25th Ward Alderman. The improvements made to our entire ward have been the collective effort of our residents, community organizations and reputable partnerships . Thank you for entrusting me to lead this effort of progress & inclusion. The 25th Ward includes parts of Pilsen, Chinatown, Little Italy, West Loop, South Loop and ABLA Homes. Alderman hosts students and families from every elementary school across the 25th Ward at his annual, community holiday party. Toy drive, food, entertainment and Photos w/ Santa were part of the festivities. 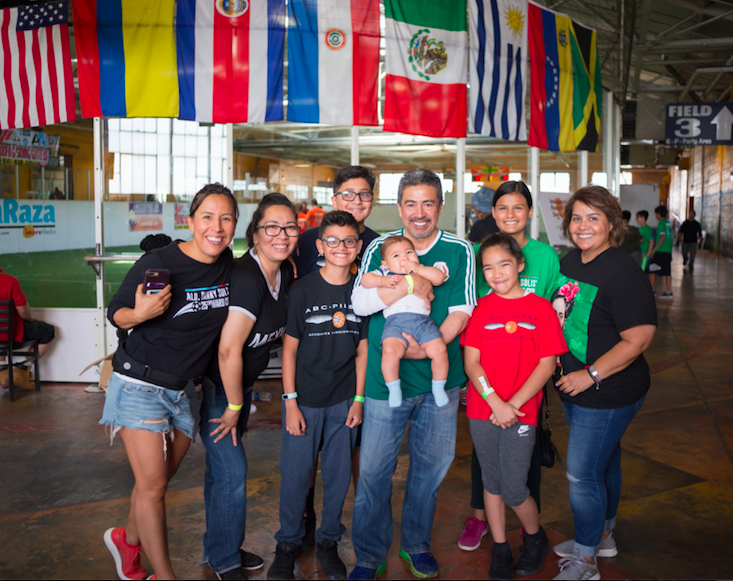 Chicago Latino Caucus Foundation Gala, organization founded by Alderman Solis, raises over $450,000 for scholarship, internship and mentorship support. Alderman Solis & Alderman Jason Ervin break ground on a new, state-of-the-art, indoor track and basketball, athletic facility in Addams/Medill Park. Alderman Solis enlists the help of the Landmark Commissioner, Ernie Wong, Site Design Group, Student Conservation Association & Timeberland to build a vibrant "Insta Park" where a vacant green space once stood... in 6 HOURS! Alderman Solis forges partnership with CPS to start a pilot parking program in Pilsen. An opportunity for mall businesses on 18th Street, and across major streets in Pilsen to have access to CPS parking lots during school off hours. 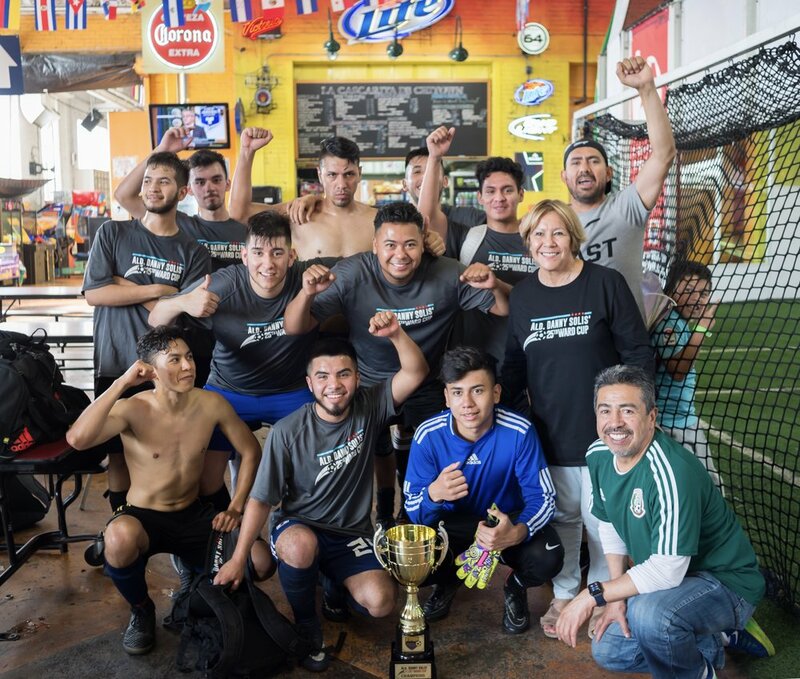 Alderman Solis hosts his Inaugural 25th Ward Cup to raise $25,000 for non-for-profit youth organizations across his ward. 1645 South Blue Island Ave.